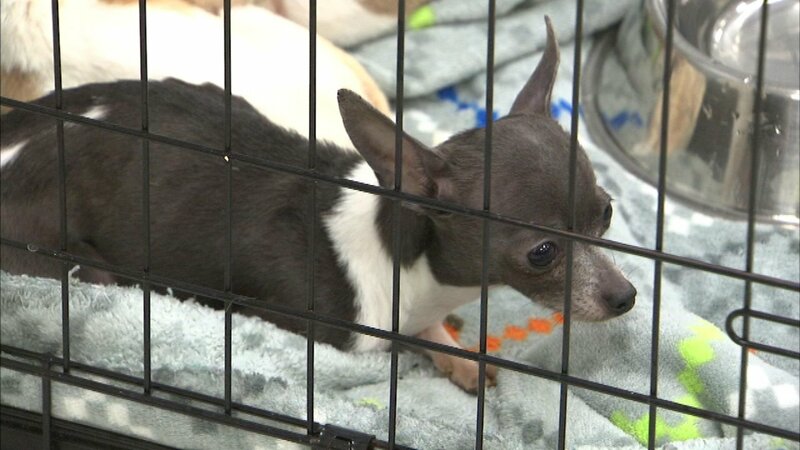 PEOTONE, Ill. (WLS) -- The South Suburban Humane Society has rescued 52 dogs from an illegal breeding operation and will begin adopting out some of the dogs on Friday. 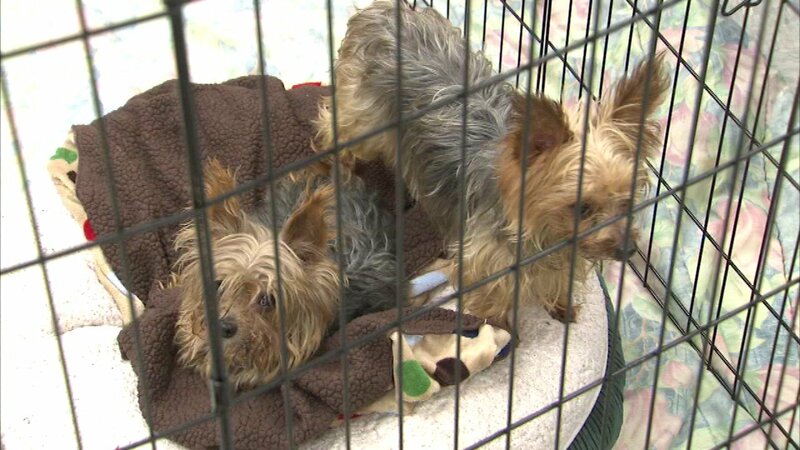 Two dogs rescued from an illegal breeder in unincorporated Peotone in Will County. 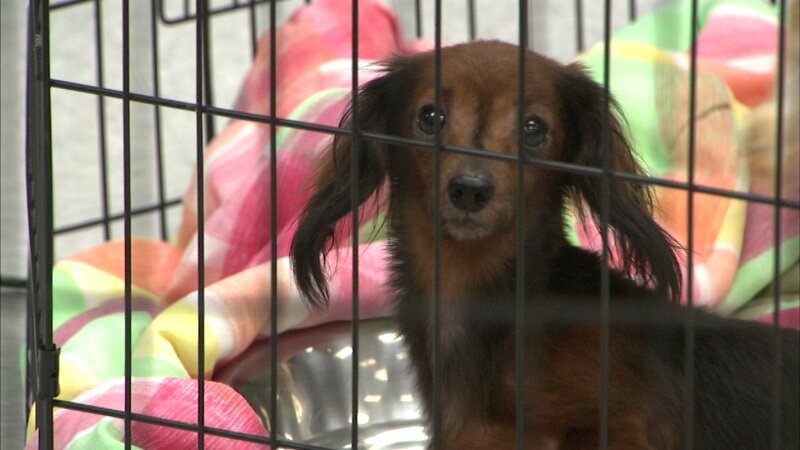 Forty-seven dogs were rescued Friday night from a home in unincorporated Peotone in the south suburbs. 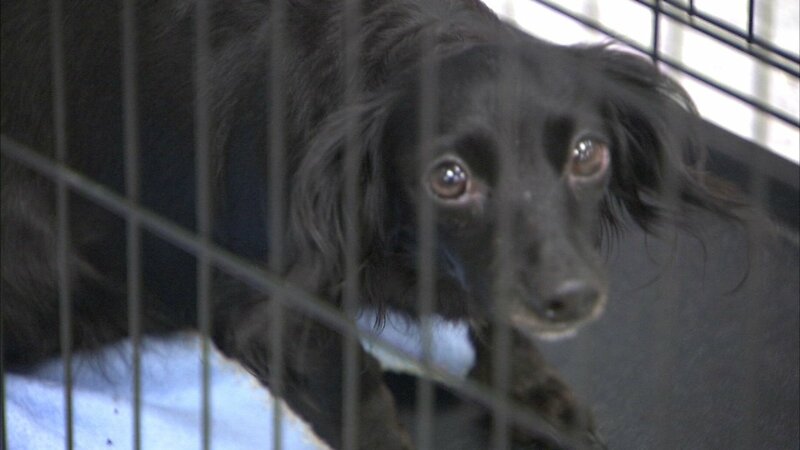 An additional five dogs were found on Monday. Many of the dogs were in poor health and needing medical attention. "You walk there's junk, there's feces, there's spider webs with no running water. There were just water bottles sort of everywhere. 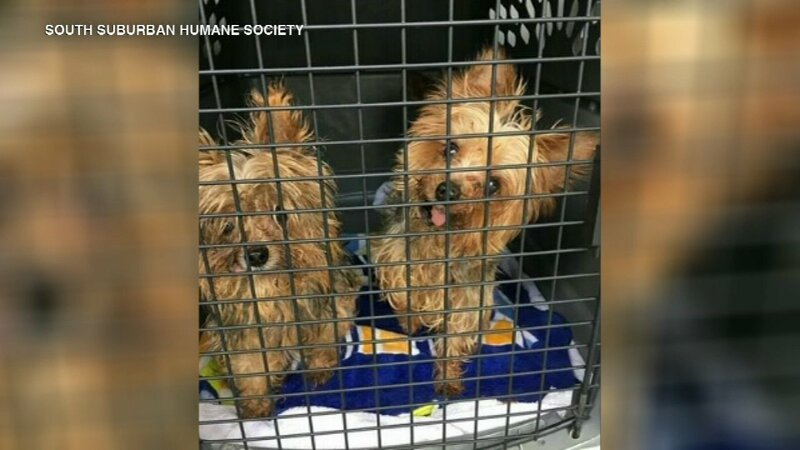 It's clear from the way the dogs respond they weren't fed regularity," said Emily Klehm, CEO of the South Suburban Humane Society in Chicago Heights. 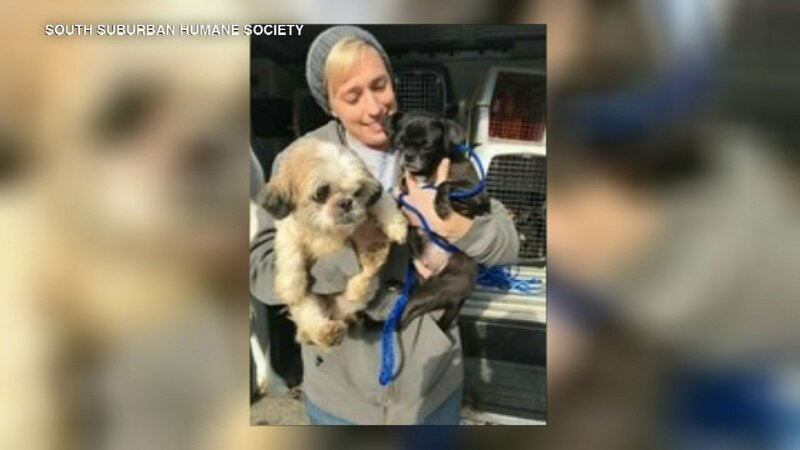 Thirteen of the dogs were removed from the property on Oct. 26 after paramedics responded to a call about a woman needing medical assistance. The paramedics discovered the deplorable conditions. "They uncovered basically a house of horrors. Hoarding house, feces everywhere and dogs," Klehm said. 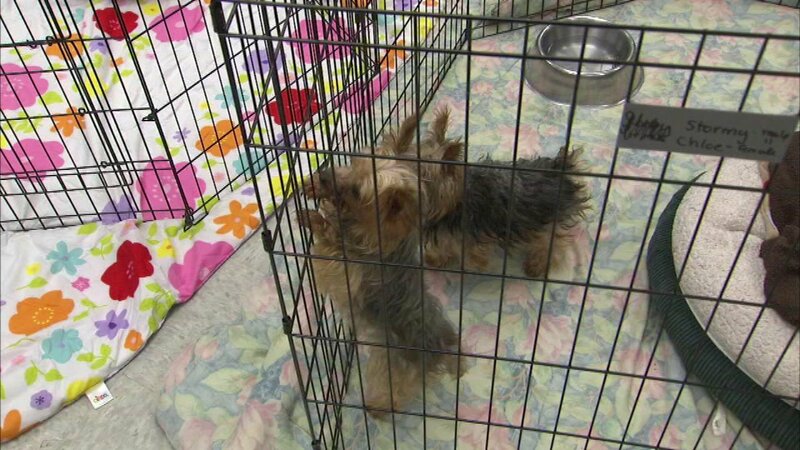 The staff then returned Friday to remove another 34 dogs, one of the owners had hidden the dogs during the first visit. 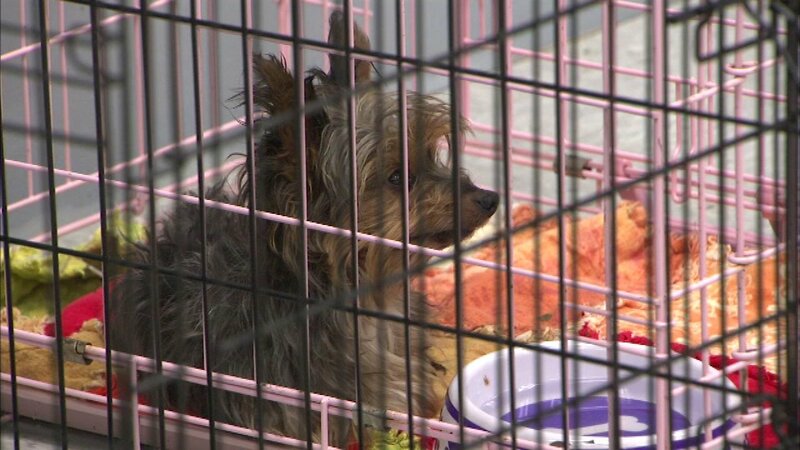 The shelter said that some of the dogs suffer from tumors, blindness and starvation - all are in need of immediate medical attention which could cost thousands of dollars. Foster homes have already been found for the dogs, but donations are still needed. Dorothy Lyman donated some money to help. "When I think about it makes me feel like crying. 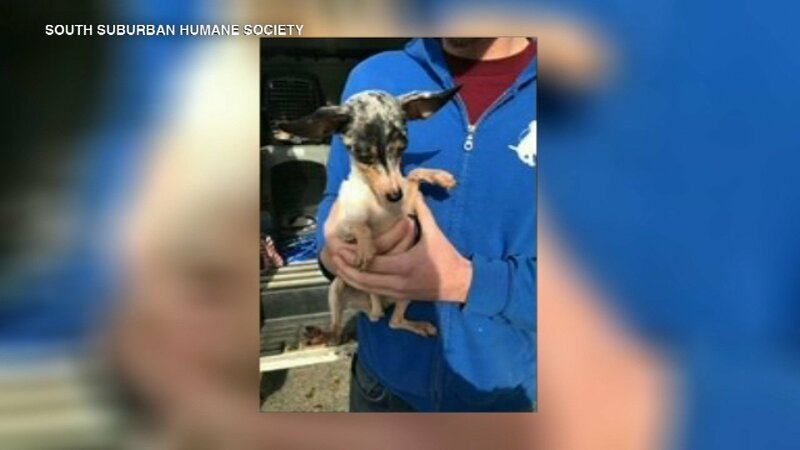 I love animals and I hate to see anyone abuse them," said Dorothy Lyman, who lives in the south suburbs and donated money for the dogs' treatment. 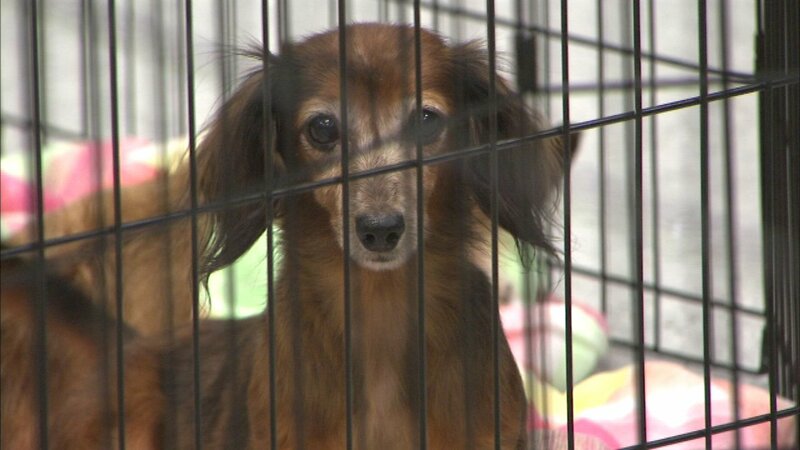 Among those rescued dogs are Dachshunds, Chihuahuas, Yorkies and Shih Tzus. 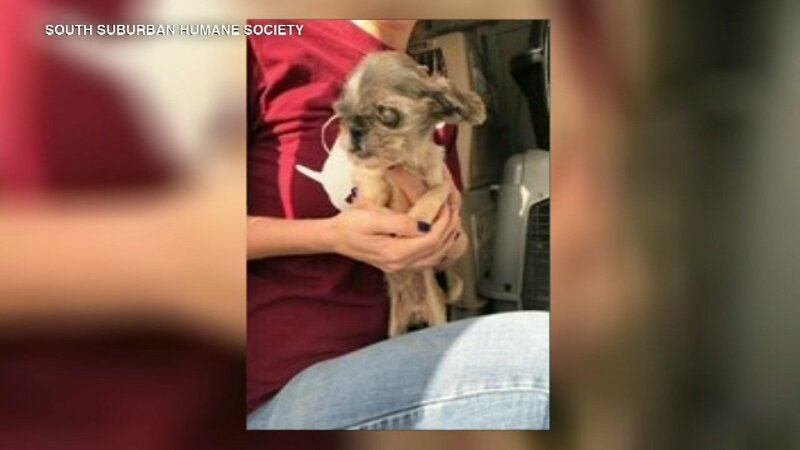 One dog had to be euthanized after it was determined that she was suffering from complete kidney failure and cancer. The house where the dogs were living has been since deemed uninhabitable by Will County officials. It was immediately unclear if the owners will be criminally charged. Klehm said this is a lesson for those who buy from breeders. 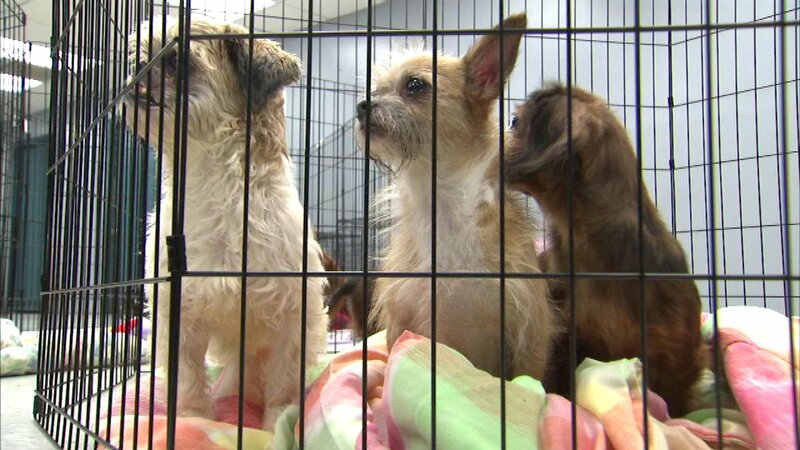 "People buying a puppy from a flea market or online, they had no idea what these dogs came from, what those puppies came from, what their moms were living in, so please do your research and always adopt first," she said. The South Suburban Humane Society said Monday that it will begin adopting out some of the dogs that are healthy starting Friday, November 10. 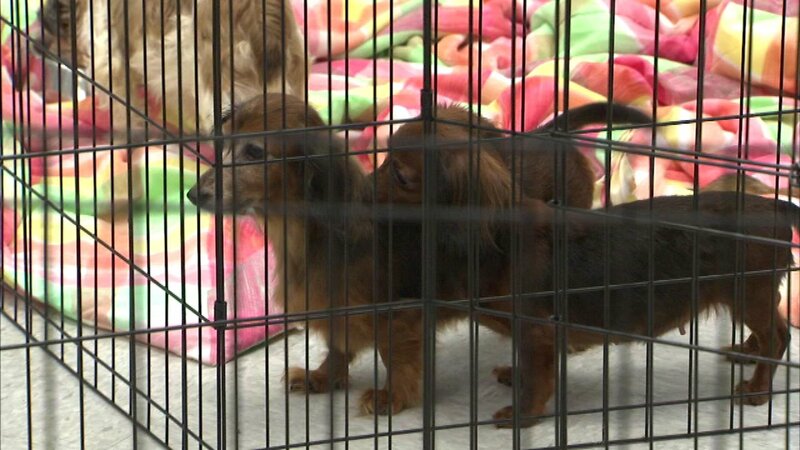 Officials there told ABC 7 that if anyone is interested in those particular dogs, they can come to their facility in person or check on their Facebook page and website for adoption information.